How to Travel to the Maldives - Holy Smithereens! Happy New Year everyone! I hope you all had a wonderful time over the holidays. I was having a catch-up lunch with friends the other day when we started talking about the dreaded (or celebrated, however way you see it), R word = Resolutions. Hitting the gym and having a healthier lifestyle seemed to be the number one goal for the year. Next to that was to travel more. And in particular, the Maldives appears to be a popular destination for 2019 and beyond. The Maldives is dazzling, but when I probed why, everyone seemed to be under the impression that the Maldives is sinking due to rising sea levels. 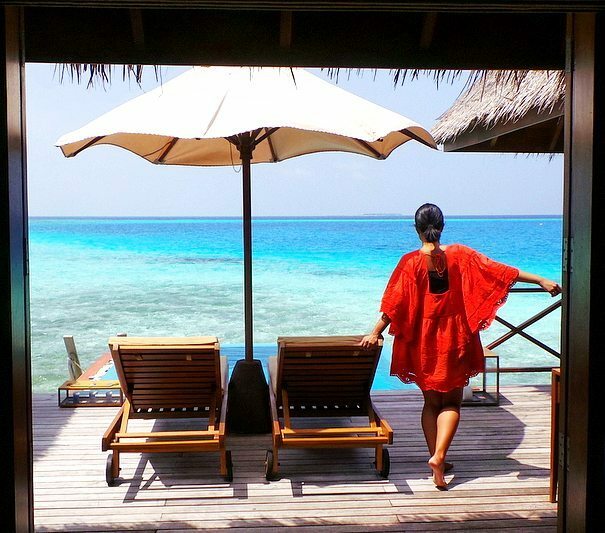 Whether the Maldives really is sinking or not, the lure of the perfect turquoise waters and luxury resorts is enough for people to make the Maldives a bucket list destination for 2019. Before you pick your Maldives resort and plan your activities, it’s important to figure out how to get there first. Now the first order of things when you are planning a trip to the Maldives is planning how to get there. The Maldives is a South Asian country, located in the Indian Ocean, which is situated in the Arabian Sea. It lies southwest of Sri Lanka and India. Given the Maldives’ location in South Asia, the airlines that would have the most direct (meaning least number of stop overs) flights to Male, the capital of the Maldives, would be Asian carriers and Middle Eastern Airlines. If you are coming from Asia / Australasia or even the US, the best way to travel to the Maldives will be via Asian carriers like Singapore Airlines (with a stopover in Singapore) , Malaysia Airlines (with a stopover in Kuala Lumpur), Thai Airways (stop over in Bangkok), and even Cathay Pacific (stopping over in Hong Kong). With the exception of Cathay Pacific, all of the above airlines are quite geographically strategic in flying to the Maldives from Australasia. As Cathay Pacific goes via Hong Kong, this can be a little bit out of the way, but it works perfectly if you plan a couple of days stop over in Hong Kong before heading to the Maldives. The three other Southeast Asian airlines I mentioned (Malaysian Airlines, Singapore Airlines and Thai Airways) do not fly to the Maldives daily. Thai Airways, for instance, flies three times a week to Male. I would suggest flying into the airline hub (Singapore, Kuala Lumpur, or Bangkok), and spend a day or two in the hub and explore these cities (they are all great food destinations!) before continuing on to the Maldives. Travellers from Europe can go with major Middle Eastern carriers (Emirates, Etihad, and Qatar Airways) as they mostly have direct flights to/from major European cities and from their hubs ( Dubai for Emirates, Abu Dhabi for Etihad, and Doha for Qatar Airways) to Male direct. While you don’t need the excuse of a honeymoon to go to the Maldives, simply going there is already in itself a special occasion. So going there via a private chartered flight makes the trip extra special and worth it. A private chartered flight to the Maldives ensures you depart when you want, and arrive in Male whatever time you want. 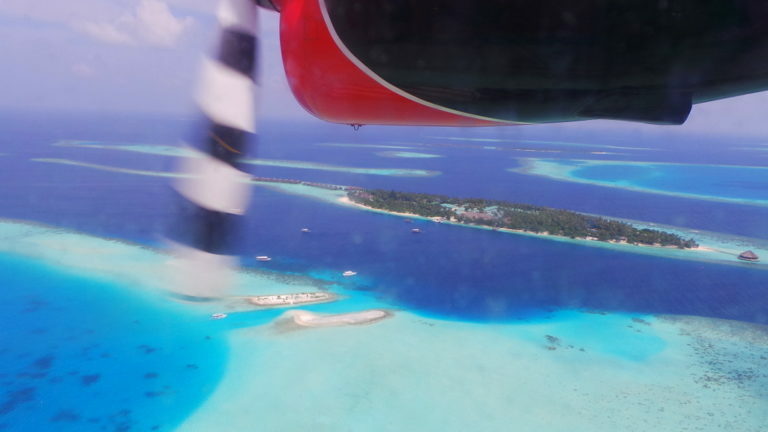 One thing you should know is that it’s not really impractical or far-fetched to take a private flight to the Maldives. Every resort is located in its own private island. So apart from working out which flight to take to get to Male (Velana International Airport – previously known as Ibrahim Nasir International Airport), you also need to synchronise your international flights alongside your transport to get to the resort. 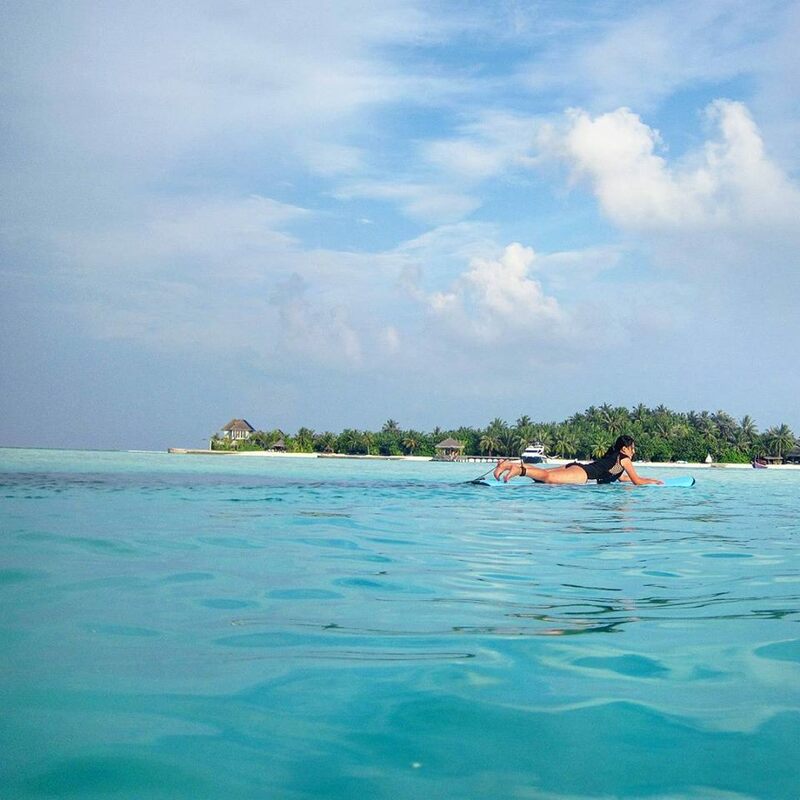 If you book a resort that’s close to Male, chances are you will use a speedboat to get to the resort. Depending how far the resort is, most speedboats operate before sunset. You will also likely end up booking a resort that’s a plane ride away from Male. This means you will have to either book a seaplane or a domestic flight. Most times, an overnight stay in Male is required for this. And this is when the convenience of a private flight will be handy. On my first trip to the Maldives, my flight arrived in Male late afternoon. But there were no more seaplane flights available to get to my resort, so I had to stay overnight in Male (just a heads up, the hotels /accommodation in Male are pretty limited). Air Charter Service offers chartered private jets to the Maldives. They fly to almost any city that has an airport so this is perfect for custom-made itineraries. For instance, on my last trip to the Maldives, I combined it with a trip to the Middle East and Europe. While I’m thankful I didn’t miss any flights or had any travel mishap, I can also vividly remember the sleepless nights and days trying to ensure that all my flights (and seaplane flights, and speedboat rides), tie up together. Going on a private charter flight takes away much of the stress of leisure travel, so you can focus more on the finer things, such as swimwear and fun activities to do in the Maldives. 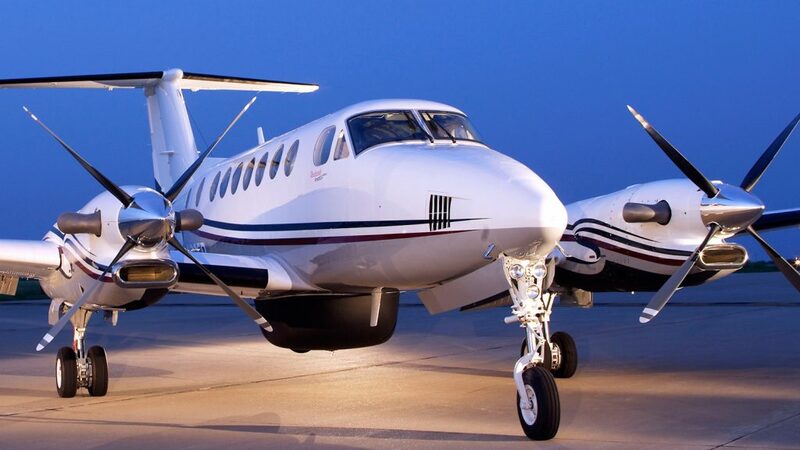 Air Charter Service offers private chartered flights to almost any city worldwide that has an airport. This ensures you get to Male (or any other destination) in time. 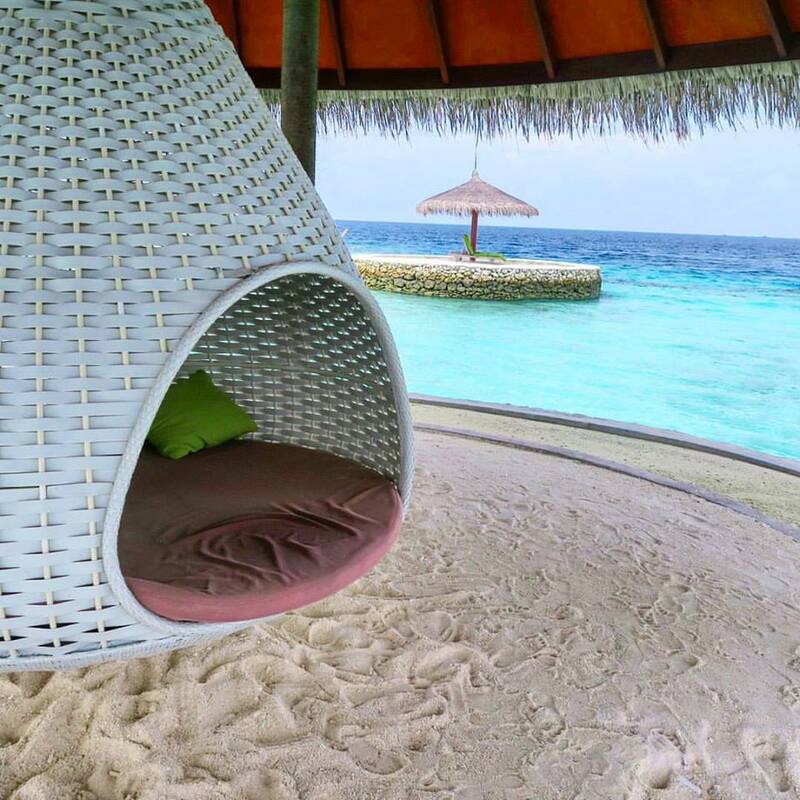 Going to the Maldives is a special occasion and you wouldn’t your memories spoiled by long, tedious hours at the airport, x-ray checks, or worse, delayed commercial flights, which can have a disastrous domino effect to the rest of your travel. Another advantage of getting on a private flight to the Maldives is you don’t really have to worry about where you’re coming from. No more airport stopovers to think of or unnecessary layovers to deal with. That is the joy of having the aircraft all to yourself. So contrary to popular belief that private flights are a far-fetched luxury, there are times when flying private can actually prove to be practical and a time saver. Cruising is another popular means to get to the Maldives. However I would recommend this if you’ve already been to the Maldives previously. There are many cruises that depart from Male (Male is the only dock / port for cruise ships in the Maldives). But this means, of course, that you would have already made your own way to Male. If you would like to reach Male by cruise ship, you need to be prepared for a long cruise. I’m talking at least a 2-week long cruise. I would really only recommend taking a cruise to go to Male/ Maldives if you have been to the Maldives already, and would like to explore the capital Male on your second (or third / fourth) time around. This is because cruises that go to Male docks in the city for a maximum of 2 days (most cruises actually just dock for a day). A day is absolutely not enough to really have that Maldives resort experience. Samples of cruise ships that go to the Maldives (Male) are: Princess Cruises’ 30-Day Singapore to Cape Town cruise (that stops in 10 ports), Silversea’s 16- Day Mauritius (Port Louis) to Singapore, and Seabourn World Voyage VIII’s 40-Day Capetown to Hong Kong cruise. 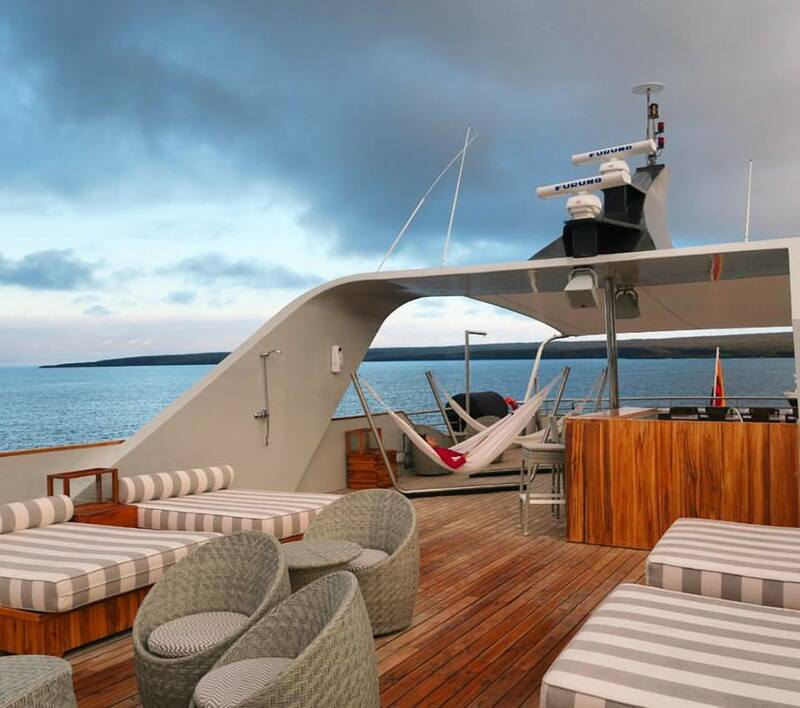 I’m sure these are all lovely cruises but in general, I would really recommend them if you’ve already been to most cities in the itinerary before as the main focus of these cruise ships are the cruising experience rather than the destination. So there you go, these are the three main ways of travel to the Maldives. Since its the new year, I would like to make it a resolution (not this year but in my lifetime), to take all three means of transport to the Maldives. Commercial travel, which I’ve done in the two times I’ve been to the Maldives. Then take a private chartered flight when I become rich and infamous (or travel with enough crazy friends), and then take a 40 day cruise (make it a 100 days why not) when I’ve travelled most of the countries in my bucket list. What about you? Which means of transport would you wish to take to the Maldives?